We've been taking a close look at Ohio's in-progress medical marijuana law, which should provide the state a fully functional cultivation and dispensary program by the fall of 2018. There's a lot to learn, and everyone in the state is digesting these new rules together. We'll publish a longform feature on the law later this month. Columbus Business First pointed out last month that fewer than three in 10 physicians are interested in obtaining the license necessary to recommend medical marijuana for their patients. In fact, interest seems to be decreasing ahead of implementation of the law. As a reminder, qualifying conditions in Ohio include: AIDS, amyotrophic lateral sclerosis, Alzheimer’s disease, cancer, chronic traumatic encephalopathy, Crohn’s disease, epilepsy or another seizure disorder, fibromyalgia, glaucoma, hepatitis C, inflammatory bowel disease, multiple sclerosis, pain that is either chronic and severe or intractable, Parkinson’s disease, positive status for HIV, post-traumatic stress disorder, sickle cell anemia, spinal cord disease or injury, Tourette’s syndrome, traumatic brain injury and ulcerative colitis. Below, we've compiled a list of public comments sent to the state medical board, collected via a public records request, that show physicians opposing the draft rules and the roll-out of HB 523. 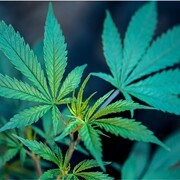 There are legitimate points, surely, that reflect the in-flux nature of this medical marijuana program and the evolving field of diagnostic research in the U.S. (to say nothing of federal prohibition), but other comments reflect an absolutist head-in-the-sand stance that isn't helping anyone. (sic) throughout. "Why discriminate against fellow Ohioans who live without this goofy list of diagnoses? Thanks, but no thanks. I will not be whoring out my medical license to recommend pot." "I am not going to prescribe this no matter what the rules are"
"I know two people who developed schizophrenia after taking marijuana. I am unwilling to risk that." "I really don't want any further pain management patients in my practice"
"I worry that we do not have enough data on the safest prescribing practices for medical marijuana"
"It would be nice if the Board provided clinical research studies that have documented the value of marijuana for the conditions currently listed as approved, since the only thing I've seen has been the euphoric response that occurs, and the negative impact as to IQ when used in the teens." "No study has proven the effectiveness of Marijuana to treat any condition. Marijuana has very serious negative longterm side effects. I do not ask patients to go home and drink beer. Why would I prescribe Marijuana?" "Seems odd that a doctor might recommend a federally banned substance and risk DEA licensure." "The rules aren't the issue. Meidcal marijuana is. It is a joke. It's a money maker for the state and the growers- that's what it is about. 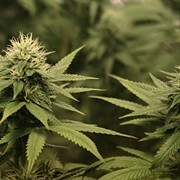 Marijuana causes depression and paranoia and is habit forming. We are cracking down on pain mess Burt are okay with prescribing weed? I don't agree"
"Scrap the whole marijuana issue. It is just a way for those looking to get high to do so legally. It serves no medical purpose." "not under the current opiate crisis"
"An annual report is an excellent idea, but my main concern with this treatment is long term effects. Opioids are great for a few months to years, but the long term effects (endocrine, immunologic, psych) are what bother me. I have a similar concern with medical marijuana." "Submitting an annual report seems burdensome." "Don't do it. It's just a hassle of gigantic proportions." "I have carefully looked into the data and there is no evidence to warrent the use of marijuana." "I suspect that everybody in Ohio will soon have a diagnosis of fibromyalgia."